Buying these top growth stocks could help you deliver market-beating returns. Aggressive growth stocks can produce market-beating returns by disrupting industries and taking advantage of big, new trends, but there are risks. High-growth companies often spend more money than they make to stay ahead of competitors, and that means there's little money left over to reward investors with earnings, share repurchases, or dividends. That situation can lead to stomach churning volatility, so picking the right growth stocks to buy is important. To help you find the best growth stocks, we asked three Motley Fool investors for their top picks. They recommended Xilinx (NASDAQ:XLNX), NV5 Global (NASDAQ:NVEE), and Aurora Cannabis (NYSE:ACB). Are these stocks right for your growth portfolio? Check out the latest earnings call transcripts for Xilinx, NV5 Global, and other companies we cover. 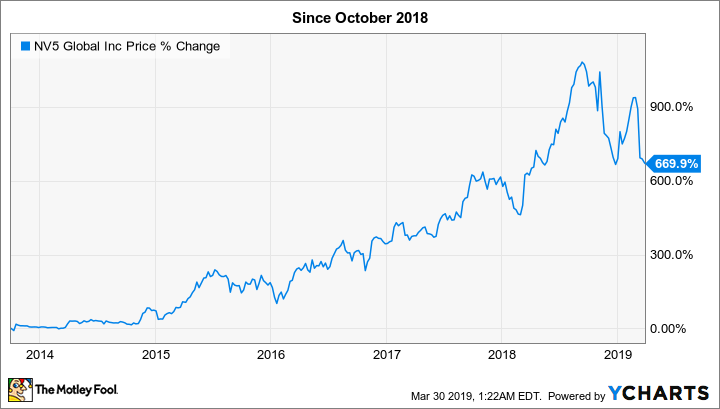 Nicholas Rossolillo (Xilinx): Semiconductor outfit Xilinx invented the field programmable chip back in the 1980s, but recently the technology has really started to take off. That's due to the advent of artificial intelligence (AI), especially in data centers and resulting cloud computing services. The ability to customize and reprogram these chips is winning lots of new customers, a trend that could continue to pick up steam as AI-powered computing increases in importance. That has already led to massive growth in the past year. 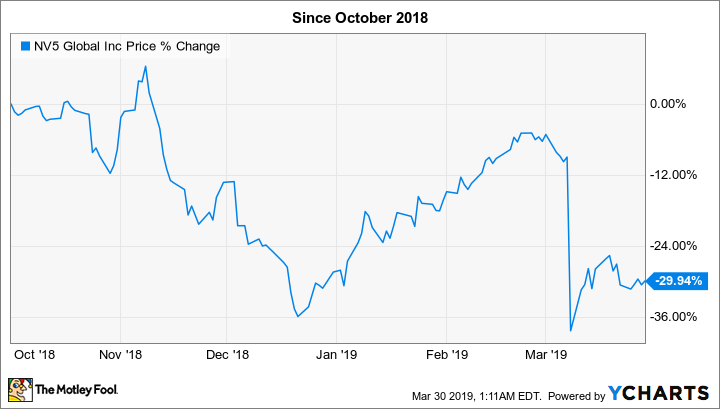 Through Xilinx's the first three quarters of the 2019 fiscal year, the company's sales and earnings per share have soared 22% and 106%, respectively. As a result, the stock is up 76% over the last trailing 12-month stretch as of this writing. Despite the big return, though, there could be plenty left in the tank. Of course, the first drop was part of the bigger stock market correction that saw the S&P 500 lose 20% of its value from early October to late December of last year. But that second drop was completely the market's reaction to NV5's fourth quarter earnings report in early March. Or to be more accurate, it was the market's reaction to management's guidance for 2019 sales, as well as some concern over the company's mention of a "material weakness" it had uncovered in its financial controls. Either way you slice it, the giant sell-off represents a great opportunity to buy shares of this high-growth company at an attractive price. The company is calling for sales to grow 15% to 24% and for adjusted earnings to grow 8% to 21% in 2019, which isn't something to sneeze at. Based on the current share price, you can buy NV5 for between 21 and 24 times guidance for 2019 GAAP earnings per share, expected to be between $2.44 and $2.85 per share. But the global infrastructure business is multiple trillions of dollars per year in size, and the company just reached $400 million in sales last year. Despite the big returns so far, there's a lot of growth still ahead. Todd Campbell (Aurora Cannabis): It's not every day that investors can invest early on in a multibillion-dollar market that already exists. But that's what's happening with marijuana, a market opportunity worth $150 billion worldwide that's only now emerging from the shadows. In the past, marijuana prohibition meant investors couldn't profit from pot, but legalization is gaining steam following the opening of Canada's recreational market last fall, making publicly traded cannabis companies attractive. One of the most intriguing of these companies is Aurora Cannabis, the second largest Canadian cannabis company by sales. Aurora Cannabis' quarter-over-quarter sales surged to $54 million Canadian from CA$35 million in the fourth quarter, and that's probably only scratching the surface, given that Canadians spend over CA$5 billion illegally on marijuana every year. The company's marijuana production was 7,822 kilos last quarter, but its annualized production reached 120,000 kilos in February, and its peak funded-marijuana production because of expansion plans exceeds 570,000 kilos annually. It's not just Canada that makes Aurora Cannabis intriguing, either. To make sure it doesn't miss out on the global marijuana opportunity, it's expanding into Europe and South America. It also hired billionaire consumer-goods investor Nelson Peltz recently to help it lock up deals that conceivably could tap the massive $50 billion U.S. marijuana market someday. Admittedly, Aurora Cannabis has issued a lot of shares to acquire competitors in the past, diluting investors along the way, and its losses are likely to continue because of its expansion plans. However, it's in the early innings for legal marijuana companies, and given that billions of dollars are up for grabs, I think Aurora Cannabis is a top stock worth owning in risk-tolerant growth portfolios.